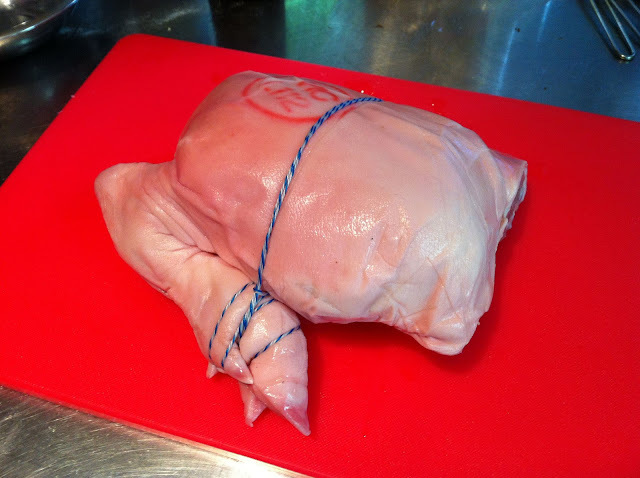 We visited Daylesford last weekend with our parents and when we dropped into Spa Venison to get some food for dinner I spotted some beautiful cuts of Suckling Pig. It was quite a small pig which isn't that easy to get. They are usually much larger, although still sold as Suckling Pig. 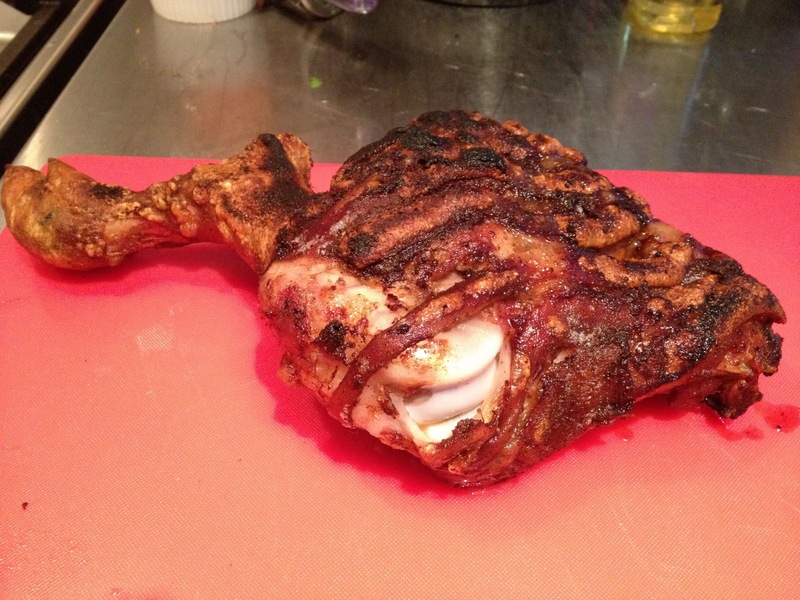 I'm pretty sure this was the forequarter or shoulder. I had planned to cook this for a friend who was visiting on Saturday so I started preparing it first thing Saturday morning so it had time to marinate fully. I used Luke Nguyen's Roast Pork recipe from Songs of Sapa, its supposed to be for pork belly and I have cooked it many times using belly but I was pretty confident it would work well with my Suckling Pig. 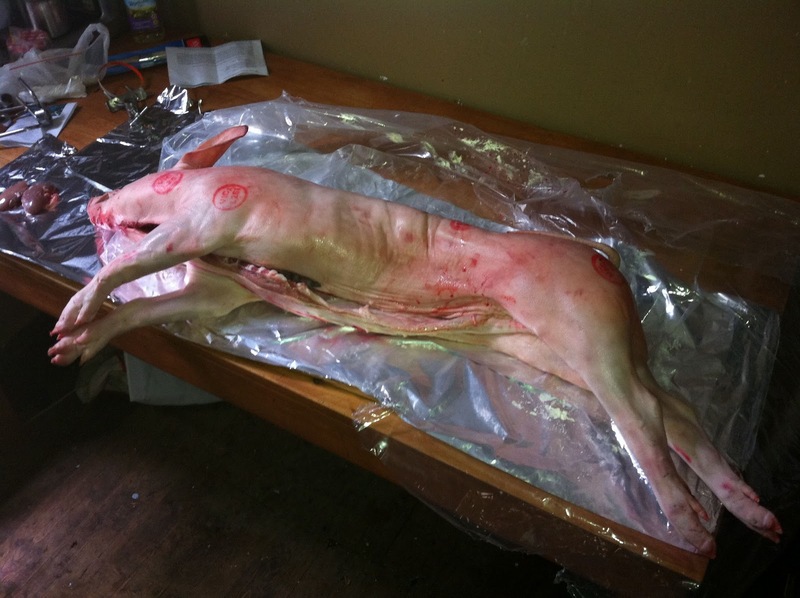 Basically it is mostly seasoned with chinese five spice, salt and annatto oil and then basted with sesame oil. I decided to prepare a Green Papaya salad to go with it and used a beautiful Thai salad dressing from the Spirit House cookbook. 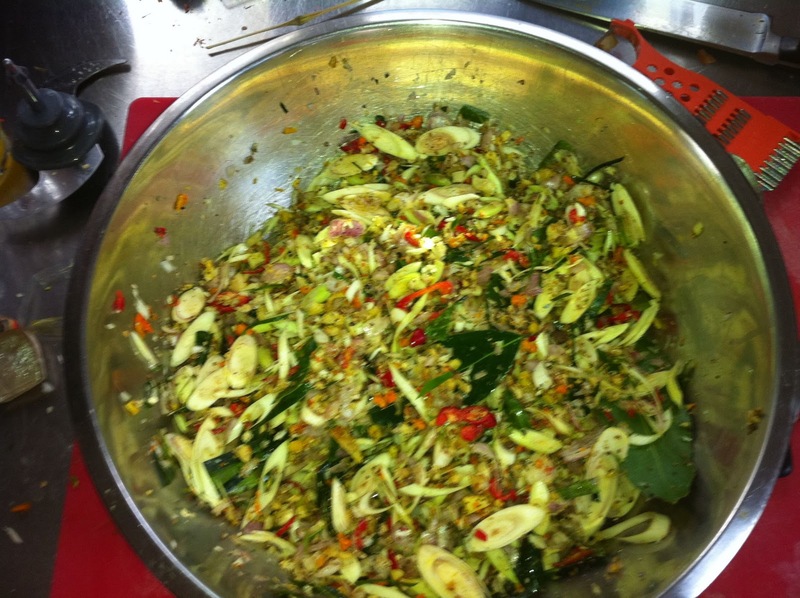 About 10 minutes after I finished preparing the pork our friend called to cancel and the later that day we got a call from some other friends to go around for drinks that night so I left the pork to marinate overnight for a Sunday night roast! I was extremely happy with the final result. The pork was cooked perfectly in my opinion. 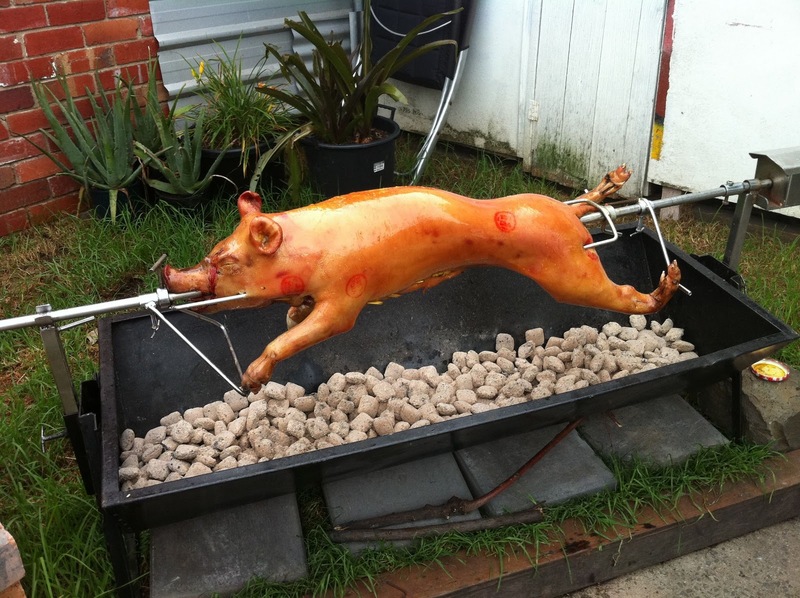 I don't roast much as there really isn't a lot of roasting in Thai or Vietnamese cooking as they mostly don't have ovens. I suspect that most of the roasting you see there these days is of Chinese influence. Plus, I have been having lots of trouble with my oven lately and haven't been able to get a decent flame from any of the burners and couldn't get the oven past 160 degrees. After putting up with it for ages and using a small camping gas canister BBQ for my wok for months I finally decided to pull the oven out from the wall and check it out. I wasn't really expecting to be able to do much but thought it was worth a look anyway. You can imagine my elation when I noticed that the braided hose was kinked, so after a bit of unkinking I tried the burners which immediately spurted out huge flames! Brilliant! For cooking the pork I had the oven at about 250 degrees for 1/2 an hour or so then reduced it to 180 for another 1/2 hour while basting at regular intervals. 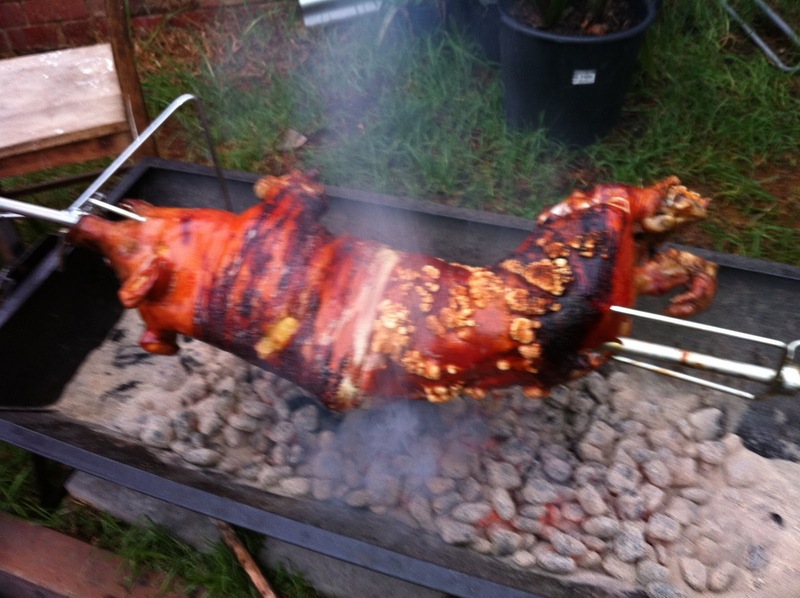 I cheated a bit to crisp up the crackling and put it under the grill for 10 minutes or so. I am always a bit tentative about making sure the meat is cooked through and came up with a new (and pretty obvious) idea of using my thermometer probe that I mostly use to check my deep fry oil temperature. A quick google search told me that the internal temperature needed to be around 75 degrees, mine was 80 so I turned the oven off and put the roast under the grill to crisp up the crackling then rested it for 10 minutes. 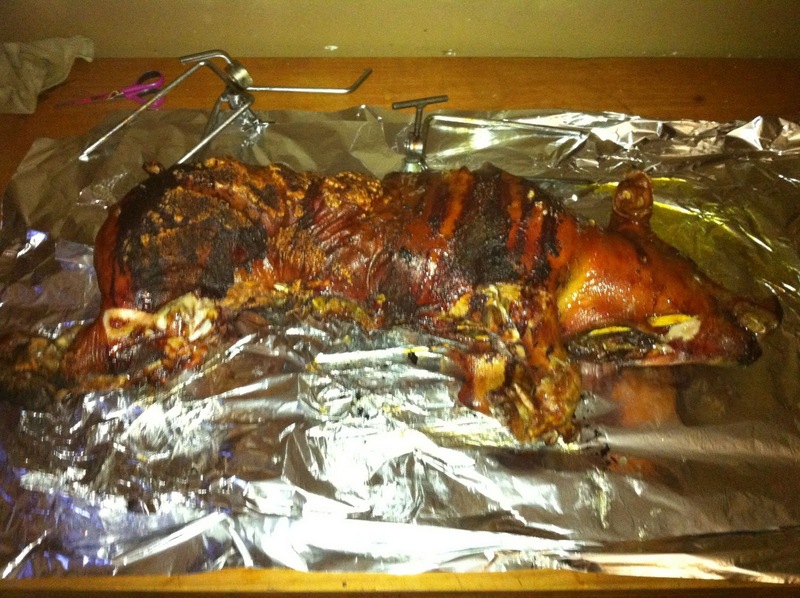 The final result was amazing, deliciously crispy salty crackling and lovely tender sweet flavoured meat. 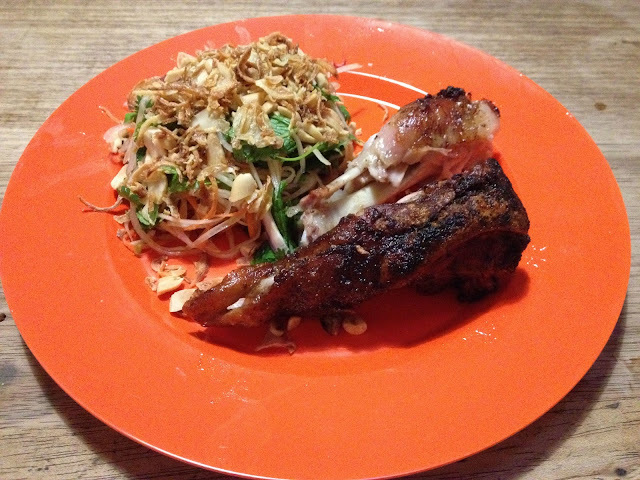 The salty oiliness of the pork complimented perfectly with the chilli limeyness of the dressing. Definitely a nice way to end the weekend. 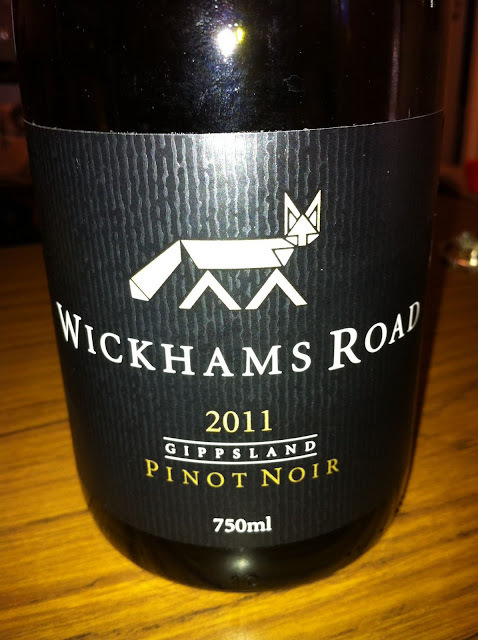 I should also add that while cooking we enjoyed a few glasses of a new Gippsland Pinot, Wickham's Road 2011. A bargain at $17 a bottle from a great wine store on Lygon Street called Bottega Tasca. Nice medium body with some of that wonderful earthy funk that you get from Gippsland. 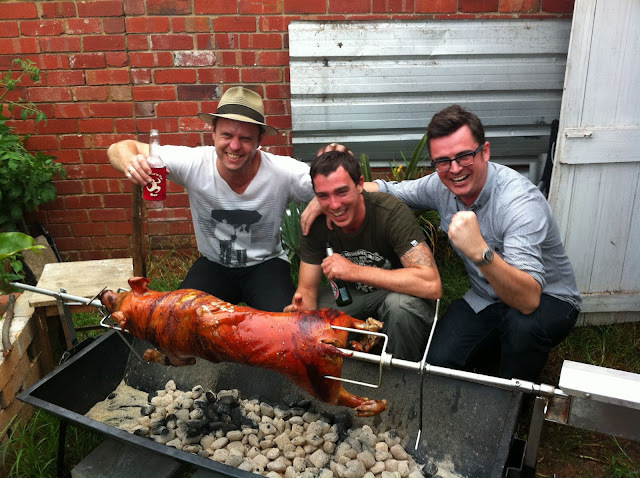 No post on Suckling Pig would be complete with out a mention of the Suckling Pig I cooked last year for my mate's bucks night. This was an accomplishment I am very proud of and it was an awesome fun night. I decided to go for a Babi Guling Balinese recipe and stuffed the pig with a wonderful array of asian ingredients from Ginger, Turmeric, Galangal, Lemongrass, Chilli and so much more! I then basted it with Turmeric oil to give that gleaming golden colour. The boys were all entranced as we watched the pig turn round and round looking more and more tasty by the minute. The highlight was again the superb crispy crackling that that looked like popcorn in parts! 15 guys drinking beer and a Balinese Suckling Pig on a spit, definitely a recipe for a great time!